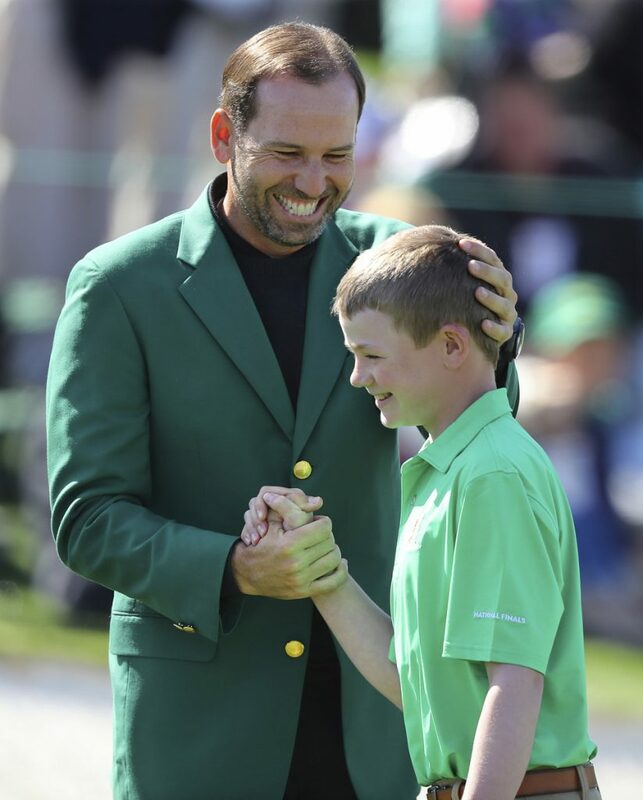 Past champions and young players mingle and smile during what's become an annual tradition. He was as much a doting father and husband as he was the Masters champion, and that was only fitting Sunday. The mood is light the day before Masters week begins. It feels more like a day of family and celebration, enhanced by the 60 children moving out from the driving range to the chipping area to the 18th green for the Drive, Chip and Putt competition that has become a tradition since it began five years ago. Garcia also was a big part of that. The large group next to the outdoor dining area between the clubhouse and putting green included Garcia’s parents, his wife’s parents, two-time Masters champion Jose Maria Olazabal and Jon Rahm, who hopes to become the fourth Spaniard in a green jacket. Faldo and Watson share one peculiar thing in common at the Masters – multiple victories but no top 10s except for when they win. It goes against so much evidence that Masters champions have a knack for playing well. Bernhard Langer was in the mix two years ago when he was 58. Fred Couples seems to play well no matter how bad his back is treating him. Tiger Woods never has missed the cut at the Masters, and even in his last full season before multiple back surgeries, his tie for 17th was his best result of the year. Woods wasn’t expected until Monday, and in some respects that’s when this Masters might really come to life. Most of the best players in the world already have won this year – Dustin Johnson, Rahm, Justin Thomas, Rory McIlroy, Garcia – and that’s been the case in recent years going into Augusta National. Woods hasn’t won but he’s playing well, and that almost feels like a victory considering his four back surgeries.